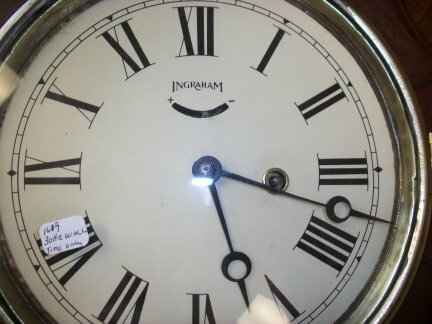 This is a 30 hour time only wall clock. 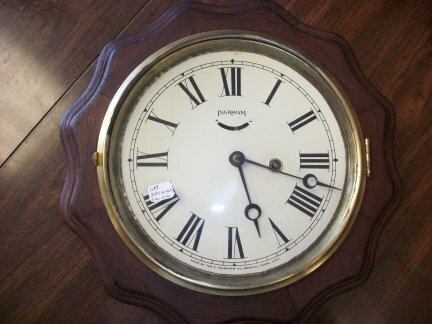 The clock is approximately 10 to 11 inches in diameter. 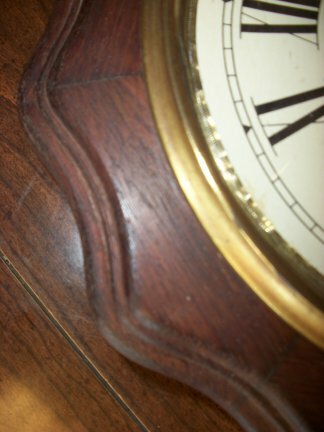 Close up of a section of the side of the clock showing the case design. 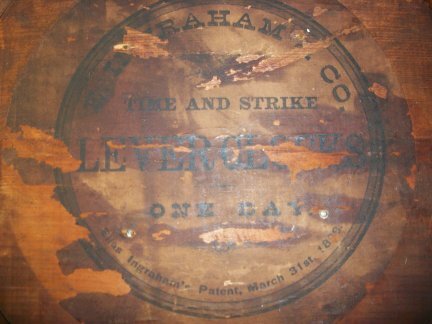 Close up view of the paper on the back of the clock.